I received this cute notebook for my birthday this year. It is so pretty and looks super sophisticated! The leather fuchsia cover and gilt-edged pale blue paper makes it such a statement piece. 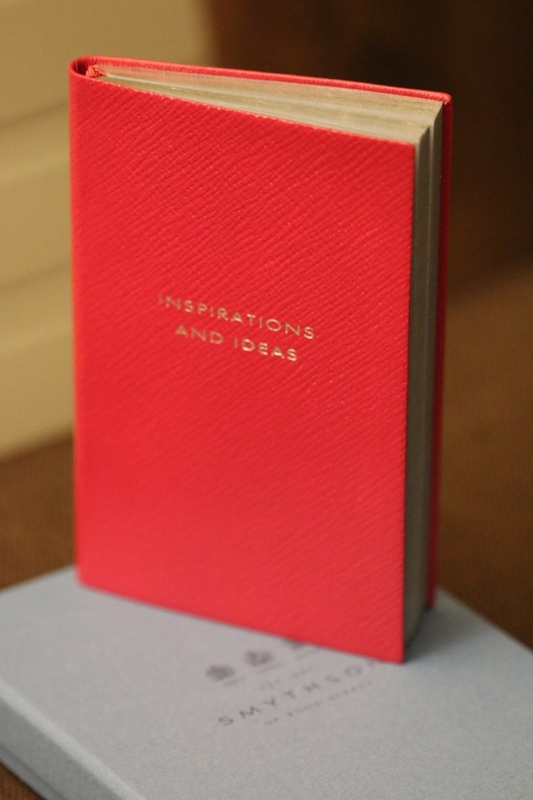 And as a name suggests ‘’Inspirations and ideas’’ it is brilliant for transferring the thoughts and ‚ideas on the go’ on paper. I carry it in my handbag each day and note down all the things that inspire me. My advise on this is: Whenever you have an idea pencil it down otherwise you will forget! I used these two foundations for the past couple of years and I still love them. The Double Wear foundation is reliable and so durable. It really lasts on your face. I have it in two shades: 2W1 Dawn for summer and 1W2 Sand for winter, in autumn and spring I mixed the two to get an ideal shade. My skin tone is yellow more olive colour actually, so these two suit me perfectly. They also have an SPF 10 which is a good benefit. If you want to purchase these I would recommend getting them directly from Estee Lauder’s website as they give free samples with each order and very often have special promotions with some great gifts. My ideal breakfast recently. This diary-free yoghurt is so silky and smooth almost like an ice cream. It is also packed with antioxidants, vitamins and contains no added sugar. I recommend having it with a bit of coconut flakes and a fruit. Yummy! Although quite expensive (£16.99 at Holland & Barrett) this tea is amazing. Makes you feel healthy as you drink it 🙂 It is made of 3 different ingredients which are; organic Japanese matcha, maca root and guarana and it is meant to give you an all-natural energy boost. The tea is naturally high in fibre and protein, and contains only 3 kcal. I have been drinking it each day since I bought it, and I feel amazing. It is a really good substitute for my morning coffee. Here it is – my list for September, let me know what your favourites are!